Marian Rutledge brought love and happiness to others — but could not find either for herself. 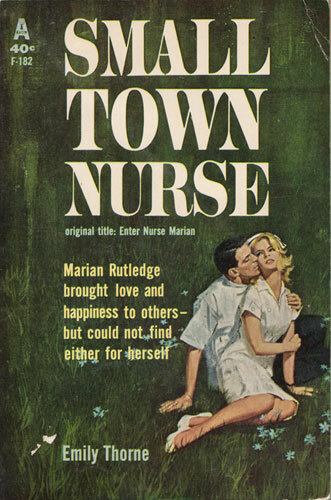 As simple as that, Nurse Marian Rutledge prescribed for the people of Bridgetown. There was Marian’s brother Clive, who frequently thought that something — or someone — was missing from his life. And Alberta Thwaits, who withdrew into one small corner of a dusty, rundown mansion. Or Olive Cressett, a timid spinster, whose domineering mother constantly “protected” her from unhappiness — and men. For these, Nurse Marian could make quick diagnoses — and find just the right cures. But for herself, she was as helpless as any other woman in love.